Just Announced: Erykah Badu, Death Grips & More. Also Among This Week’s Upcoming Dallas-Area Shows You Should Know: Bobby Sessions, DeVotchKa, Vince Staples, Lucy Dacus, Bad Bunny & More. Out with the old, in with the new. Or so they say, anyway. With 2018 is coming to an end and Christmas is now just six days away, we’re right smack dab in the middle of last-minute Christmas shopping season. The way I see it, there are two ways to circumvent the harrowing search for a nearby parking spot at the mall — something no one wants to face this time of year: 1) You could park at the front next to the sign that says “Expecting Mothers Only” and pretend to be pregnant, or 2) you could just shop online like everyone else in 2018. While Amazon sure is a great way to skip the lines at Barnes & Noble or whatever, have you considered that your loved ones might just want to get the gift of seeing some good live music this holiday season? Or, better yet, have you considered the idea that now is a perfect time to buy a pair of tickets to a show you want to see, and that you can then just invite your gift recipient along, giving them the pleasure of joining you? 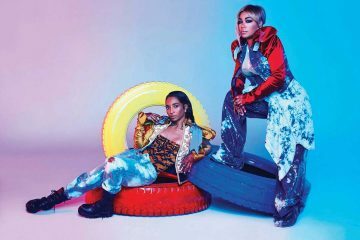 Whether for a loved one or for yourself, look no further than this week’s local concert announcements for some inspiration for your next e-commerce therapy session. Some people may cavil at the bandwagon praise Bobby Sessions received after being signed by Def Jam, but hype is the lifeblood of the music industry. Before Sessions gets too big to respond to our texts requesting a guest list spot, let’s appreciate the opportunity we have to see him at a venue that doesn’t sell $15 PBR tallboys and just be happy for his continual success. This show is doubling as a record release party and a tour kickoff for The Bralettes and Acid Carousel. Two birds, one stone, etc. On sale Friday, December 21, at 10 a.m.
“Gypsy punk” and folk ensemble DeVotchKa released a new album This Night Falls Forever via Concord Records earlier this year, and in support of that project, they just announced a run through the South and the Midwest. Neyla Pekarek opens. Last month, Vince Staples released the 22-minute full-length FM! to critical acclaim, just a little north of one year following the release of his second studio album Big Fish Theory. The prolific rapper has since teased another album with features from Pharrell and announced the Smile, You’re On Camera tour with support from Buddy. This tour includes Staples’ first Dallas stop since the rager at Bomb Factory with Tyler, the Creator. Back in March, Lucy Dacus released the album Historian and, two months ago, released a frisson-inducing EP with Julien Baker and Phoebe Bridgers under the name boygenius. 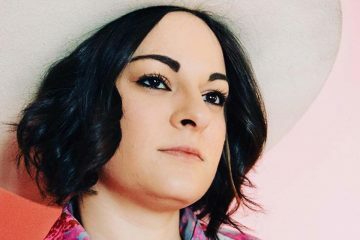 She just announced a 2019 headlining tour with support from Illuminati Hotties, which includes a show at Armoury, D.E.’s sister venue, Ruins. On sale Wednesday, December 19, at 10 a.m. If music genres were house guests who overstayed their welcome, deathcore would be pretending to have car trouble and would fake a phone conversation with AAA right about now. While waiting, it would bogart all the garlic rye chips from the bowl of Gardettos you leave on your coffee table, and hope you decide to go to bed early so it can sleep on the couch another night. 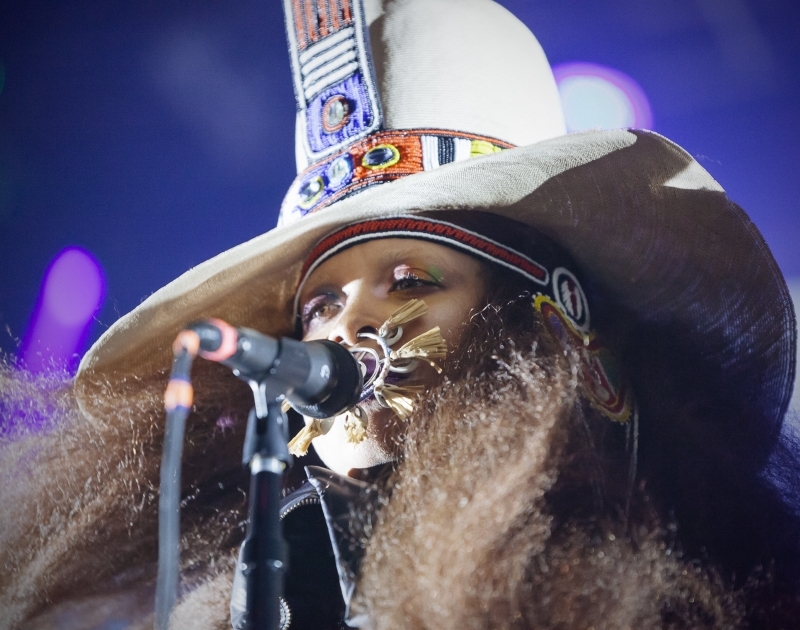 Previous guests of Ms. Erykah Badu’s annual birthday celebration at Bomb Factory have included Dave Chappelle, Talib Kweli, D.R.A.M., Willow Smith and Leon Bridges. This offering is anticipated to be just as star-studded. The Sound of Animals Fighting — the supergroup featuring Anthony Green of Circa Survive and Rich Balling, Chris Tsagakis, and Matt Embree of Rx Bandits — have reunited for the first time since 2014, but the bigger story here is that Denton’s Lorelei K is opening this entire package as part of her first tour. Not all of us get to play 3,000 cap venues in Hell’s Kitchen as part of our first tour – or ever, for that matter. Saturday, March 2, at Deep Ellum Art Co.
On sale Thursday, December 20, at 10 a.m.
Michael Seander was recovering from a baseball-related injury in 2010 when he recorded the viral song “College Humor” on GarageBand as a joke. This injury apparently lasted eight years, because this is his final tour, and he released four albums and six mixtapes in the interim. By way of announcements for the already-stacked NSFWknd lineup, Cold Cave is playing Trees on this date with support from ADULT. and Sextile. Right across the street, at Three Links, will be psychedelic pop virtuoso Paul Cherry. The band that ghosted Trent Reznor and inspired someone to destroy Donald Trump’s Hollywood star with a pick-axe makes its third DFW appearance. Notable fans include Bjork, David Bowie and, evidently, Beyonce. But Noam Chomsky has never heard of them, and we somehow know this because someone had the unbridled lack of shame to ask him. Latin trap sensation Bad Bunny made waves this year with two hits: Cardi B’s “I Like It” and the “Te Bote” remix featuring Nicky Jam, Casper, Nio Garcia and Ozuna. 2019 is looking to be a big year for him as well – it looks like the Puerto Rican artist is moving forward with his debut album La Nueva Religion, and in conjunction with its anticipated release, he just dropped some dates for an arena tour. Jesse Rutherford of The Neighbourhood fame has had sparse output as a solo artist, having only released two albums in the span of seven years. 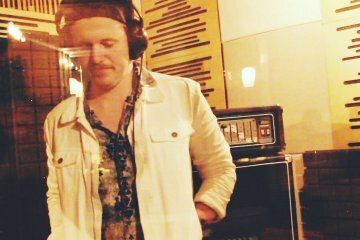 Now he is performing solo under the mononym “Jesse” and is scheduled to come through Dada as part of his first tour sans The Neighbourhood. In 2017, Olivia O’Brien achieved breakout success with the single “i hate u, i love u (feat. gnash),” which was nominated for a Radio Disney Music Award. If you’re a bartender at Dada, and you’re scheduled to work this show, there’s a good chance you’ll get cut, so it’d probably be wise to start making tentative plans for 4-20. Perturbator, the project of French industrial/synthwave artist James Kent, recently released a collaboration with HEALTH, and was announced as one of many performers for the 2019 installment of Psycho Las Vegas. He performed the festival back in 2017 with this guy named John Carpenter, and went on his first tour that year. Erykah Badu cover photo by Jonathan Stafford. Previous ArticleWhich Dallas New Year’s Eve Party Should You Go To? Next ArticleForechecking: Your Dallas Stars Need Some Christmas Cheer.